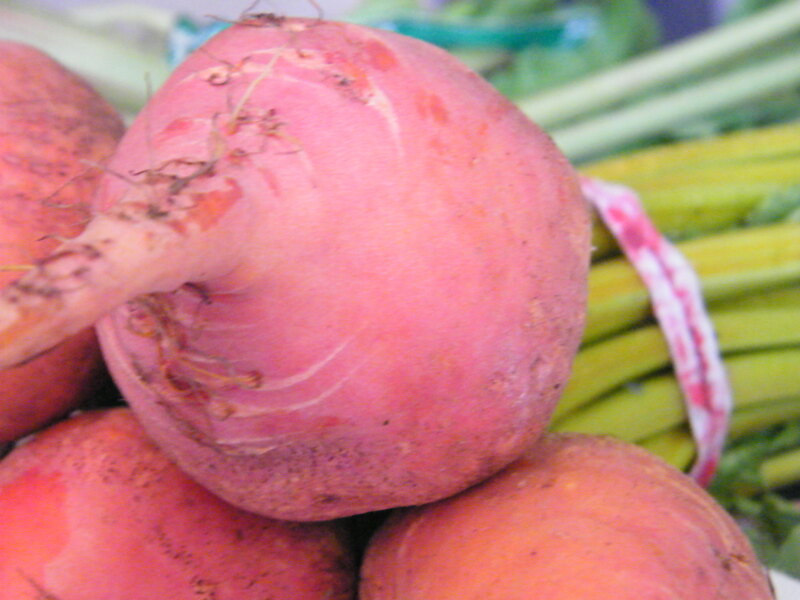 Golden Beets | What is That and How Do I Eat It? 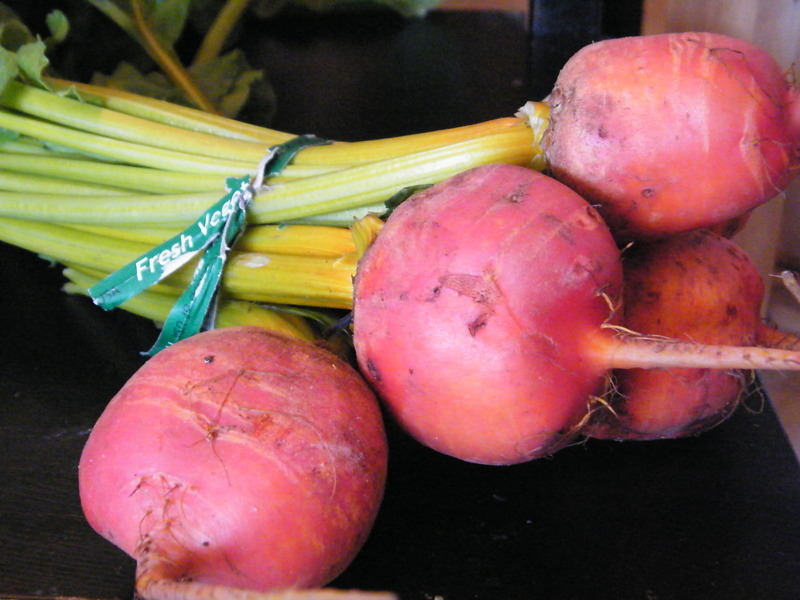 Pingback: Candy Cane Beets « What is That and How Do I Eat It? Pingback: Tromboncino Rampicante « What is That and How Do I Eat It? Sorry, I just saw this! I’ve been planning a post on it for a while, but they’re very easy and very delicious – just saute with oil and garlic. You can remove the stem if it’s particularly tough, but if you cook the stem a little longer than the green parts, it softens up quite nicely. 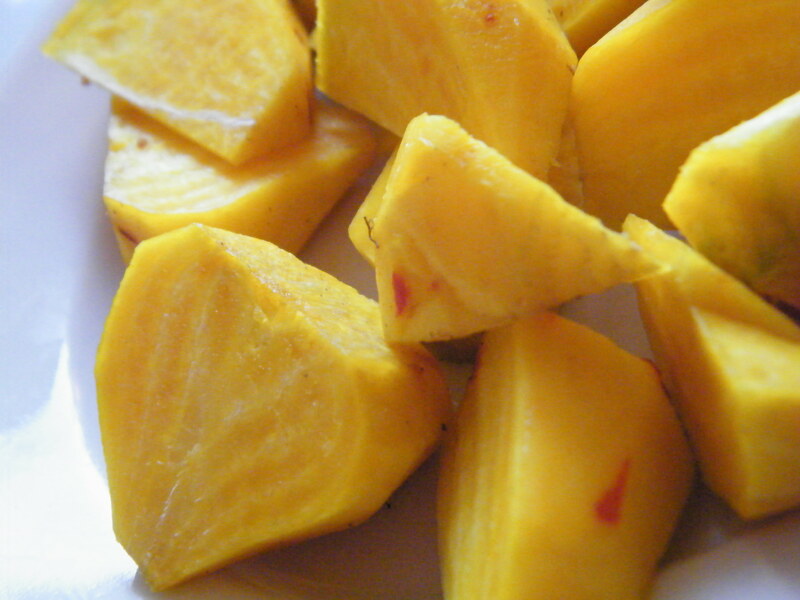 We like them just plain as a side dish, but they also work well in stir-fries. Nicely done website (blog?). Your sense of humor makes it. I was about to give up looking for your promised recipe for ‘beet greens” when I found your response to something I’d been wondering about since coming home form market today with my first bundle of golden beets. But, your “just saute with oil” would once have led me to a limp mess, if I’d not witnessed line cooks at a Macaroni Grill whipping out “sauted spinach salad” in just a few (10?) seconds per plate. Now, I’ll give beet greens the same treatment I use for Swiss or rainbow chard, spinach, kale and almost other “substantial” greens. Using my largest skillet (might a wok be even better? ), I sizzle-saute coarsely chopped garlic in a tablespoon, or two or three, of hot oil (EVO… or maybe grape seed or sesame seed oil?) 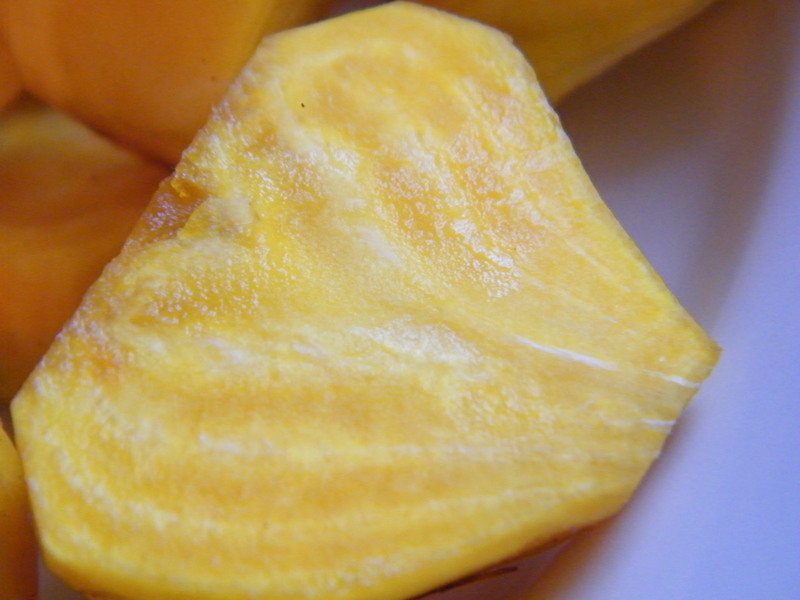 until I see some crisping, brown edges. Drop in one or two portions of greens, any larger leaves torn into bite-sized pieces (roughly two to three inches per edge). Quickly turn leaves through hot oil & garlic bits (perfect chore for those silicone-tipped tongs), keeping contact of leaves with pan very brief… just grab-flip-drop and repeat (for maybe ten to fifteen seconds, a few more for tougher, thicker or curliest greens) often enough to coat greens with the not-quite-smoking hot oil, and remove to plate (along with those browned, maybe just crisped garlic bits). Greens will be hot, but will not look “cooked.” Ok, maybe just a bit wilted. A light dash of salt; I prefer flakes or Kosher. I find some prefer brightening hot greens with a “spritz” from a fresh lemon. Renew skillet’s oil and garlic, and repeat as needed until everyone has some. Waiting may be polite custom, but a minute cooling diminishes this dish, and “holding it” (keeping it warm) quickly reduces it to a limp mess… urge guests to enjoy as soon as greens can be served; cook sits last. This recipe returned “cooked” greens to my kitchen and my diet. I’ll try it on my golden beets’ greens tonight. 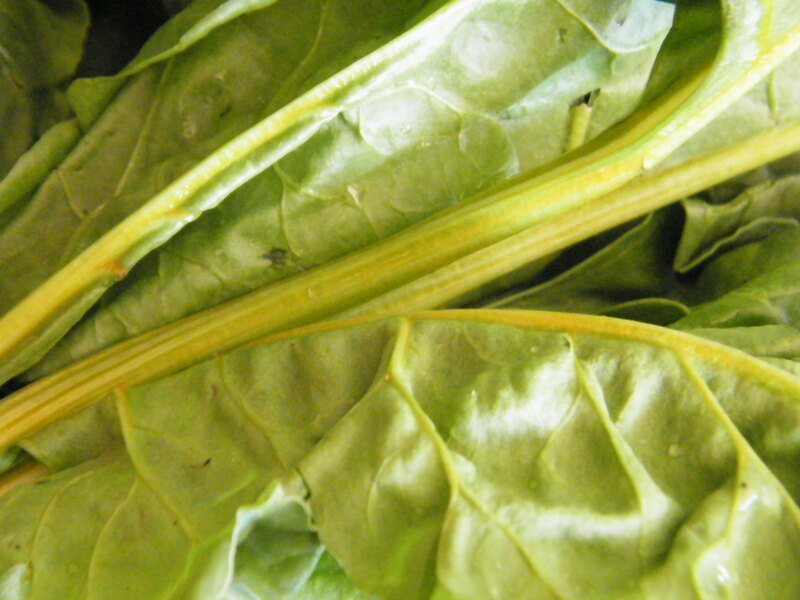 Using larger (than 2 to 3 inch) leaves is fine, you’ll just have to fold greens to eat, and if they are hot and YOU CAN (fold them), they’re cooked right! 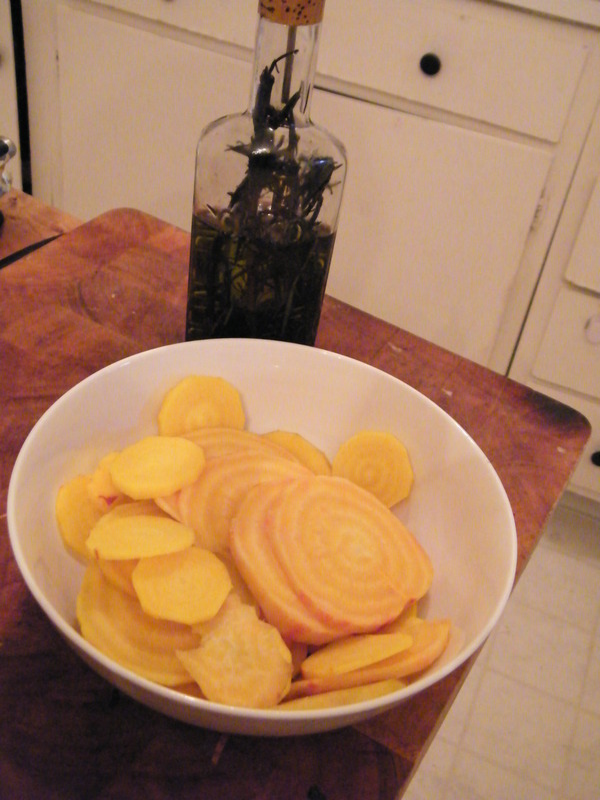 Two days ago I bought golden beets, and steamed them as a side dish. But it started turning brown? Is is still edible or should I just throw it away? Your response is greatly appreciated…. Yes, they’re edible! 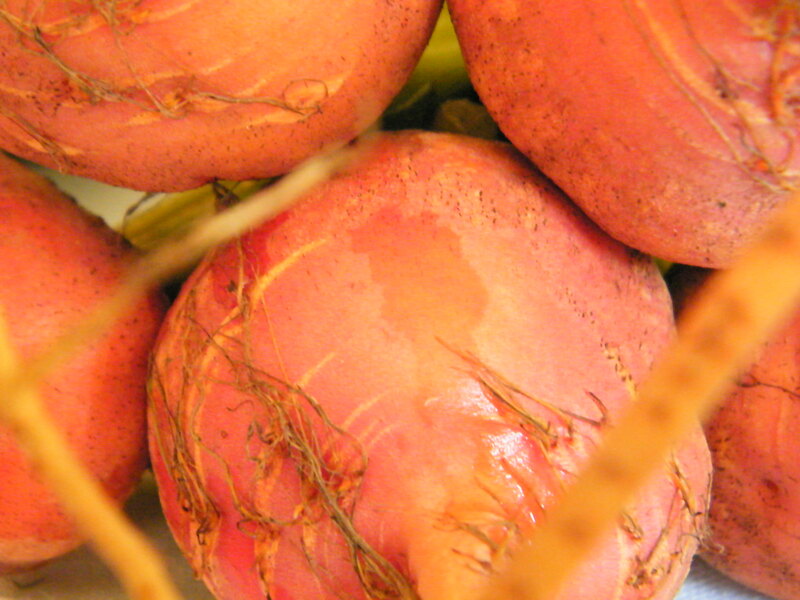 Golden Beets will oxidize and turn brown if you steam them, or even use them raw in a salad (like apples do)- they’re perfectly fine, they just don’t look pretty.